WordPress has grown to be one of the most popular website building platforms on the Internet. It’s estimated that over a quarter of all websites on the Internet are powered by the Content Management System. One of the biggest reasons why WordPress is so popular is due to the fact that there are over 29 thousand plugins that can be downloaded. A WordPress plugin is a piece of software that integrates with the WordPress software, allowing for a new function or tool on the site. Many of these plugins are free to download and install, some will come with a fee. If you need your WordPress site to do something, there’s probably a plugin that will help you do it. With so many plugins available, it’s very possible to download and install a WordPress plugin that will have a negative effect on your website. It doesn’t matter how careful or experienced you are, it’s very possible to install a plugin that could cause your website to crash. There are a few things you can do to keep your website safe from harmful WordPress plugins. Regardless of the plugins you install, you will always want to regularly backup your website. There are various do-it-yourself solutions on the market, but it’s probably best to seek the help of an experienced WordPress development company. Manual backups are the best way to ensure you have everything stored properly, but automatic updates are better than nothing. We would also recommend that you store your backups on a secure cloud service. Every WordPress plugin will come with some basic information that you’ll want to review before you download anything. You’ll want to take a few minutes are review things such as the number of times the plugin was downloaded and read any reviews or feedback left behind about the plugin. Do not download the plugin if there’s been negative feedback left or if you see a limited number of downloads. It can be tempting, especially if the plugin seems to solve a problem on your site, but a bad plugin can quickly cause a nightmare for your website and might even make it crash. If you’re going to download third-party WordPress plugins from unknown sources, it’s always best to have a functional copy of your website available for testing. Your testing site should be an exact clone of your live website; with all the same posts, pages, plugins, custom code and theme. This is your best solution keeping your website safe from a problematic plugin but will take some work to keep everything current. How Can One Plugin Bring Down an Entire Website? It’s hard to really pinpoint one specific reason why a WordPress plugin can take down your website, there are many things that can go wrong. Many people feel okay about installing a new plugin due to the fact the site seems to work properly after the installation. This can be a positive sign, but it’s not uncommon for a plugin issue to arise after the installation. There are various updates issued by WordPress and updating your WordPress to the newest version could cause a problematic plugin to take down your website. Plugin developers should be proactively updating their plugins before WordPress launches an update if a plugin hasn’t been updated there could be major issues. An out-of-date plugin can cause two scary issues; the website may start showing error messages on the top of each page, or your live website will appear as an empty white box. Typically, the white screen error is caused by a memory limit. These issues will need to be fixed on the backend of your website and will likely require the help of a WordPress developer. One of the best ways to prevent plugin-related issues is to have a custom WordPress plugin built specifically for your website. An experienced developer will look at your website and develop a custom plugin that adds the functionality you’re looking for but will work with your current theme, plugins and content. Sure, having a custom WordPress plugin developed isn’t going to be free, but it’s a worthwhile investment when you consider the potential harm your website could face. You will also have the peace of mind knowing that you alone own the code for the plugin. First, you’ll want to take a deep breath. It’s scary to see your website crash, but it is fixable. Issues will need to be resolved in your site’s admin area and you’ll want to do so quickly. Some issues can be resolved by simply uninstalling the offending plugin. Working in your admin area can be risky when you don’t have the right experience and a simple problem can quickly become a larger issue with only a couple wrong clicks. You may want to seek the help of an experienced WordPress developer and have the issue fixed right away without causing more issues. It’s possible that your website’s code could also have issues that need to be attended to. WordPress is a great website platform and the selection of plugins is one of the main reasons the CMS has become so popular. Your website is vital to your business and the thought of it going down due to something as simple as installing a plugin is a very scary thought. At Insiteful Solutions, we’ve been building WordPress websites and keeping them maintained for nearly a decade. We have various WordPress maintenance and backup packages available. Our team of experienced Toronto WordPress developers will work with you to create custom WordPress plugins that are designed to suit your site and needs. We’re also here to help if your website is down due to a plugin error. Let us know how we can help. Google has been making an effort to make their search results show local information better for some time now. The search engine recently launched two major updates to their algorithm, both with a goal of diversifying local map results in organic search. These updates can either have a positive or a negative impact on your business. The first update to the Google organic search algorithm did not directly penalize or remove any businesses from Google My Business, but it could have made your listing disappear from Google’s Map Pack. When you search Google for a local keyword the search engine will show a selection of local listings on the top or middle of the search results page, this is commonly referred to as Google’s Map Pack. Many in the SEO world have dubbed this first algorithm update as the Possum update, due to the fact it caused otherwise functional local listings to ‘play dead’ and disappear from the map pack on the search results page. The Possum update was first launched in 2016 many businesses that had brick and mortar locations physically near or with shared ownership as another business with the same name found that their listings were hidden in search results. This also caused businesses that shared office space with another business operating in the same industry to disappear. Businesses did not need to share addresses to be affected, there were some cases of competitors with addresses on the same street being negatively impacted by the update. The update also gave more weight to the searchers physical location. For example, a person living in Markham who searched Google for ‘plumbers’ would see a much different search results page than someone doing the same search in Oakville. Google doesn’t necessarily make updates to their algorithm to penalize website owners, their goal is always to make search more accurate, useful and relevant to their users. The Possum updated filtered out businesses with the same name or who offered similar services with the goal of providing more diversified results. Some industries were impacted more than others with this update. It’s not uncommon to see various doctor, lawyer, and insurance offices clustered together in a certain region of a city. It’s very likely that some of these businesses were negatively impacted by the Possum update (especially for those operating in the same building). 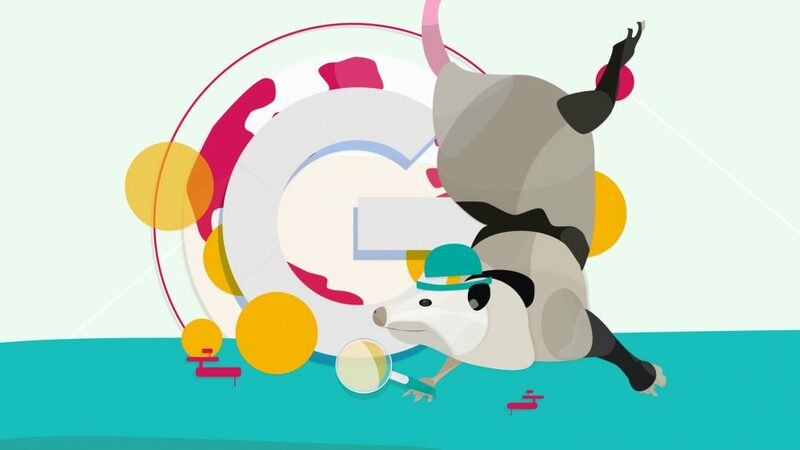 Over the years, Google has earned a strong reputation for being receptive to the feedback of their users, and an additional update was launched to lessen the negative impact from the Possum update. In August 2017, Google launched an algorithm update nicknamed Hawk to curb the negative effects of the previously issued Possum update. Hawk was able to tighten the proximity filters of Google, this helped many listings wrongfully hurt by the Possum update to start appearing again. Unfortunately, the update to the algorithm did not help businesses operating in the same building from cancelling one another out. Focus on your local online presence – Take advantage of the many tools and features included in Google’s free Google My Business account to maintain local visibility. Be sure to fill out as much information as possible and keep everything up-to-date. Try to make to your audience on a regular basis. Add a local spin to your content – Content is extremely important online and it can really help with your local search results. When writing content you’ll want to think local and give your content a local flavour. Post relevant and local content on all platforms – Try to connect with other high-quality websites in your local area and ask them to backlink to your website. Ensure that any page being backlinked to contains relevant and localize content. This strategy will show Google that you are a local authority in your market. It’s important to have a strong understanding of how Google operates and the updates to their algorithm. Google’s focus on diversifying the local content they show can be an excellent opportunity to rank higher and get qualified web traffic. At Insiteful Solutions, we’ve been helping businesses rank higher in Google with sustainable SEO strategies. Learn more about how SEO can generate traffic for your business by contacting us today. It’s hard to believe that the Internet has been part of our lives for over two decades. During this time, we’ve seen dramatic changes on people interact with the Internet. 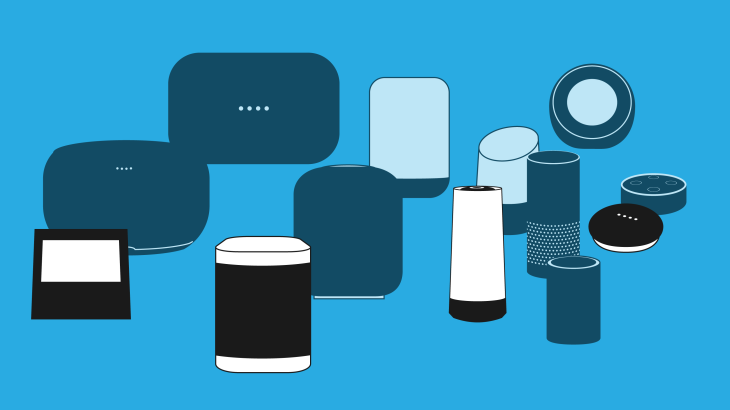 Smart speakers are becoming more and more popular in today’s homes. Devices such as the Google Home and Amazon Echo have made it possible to perform Google searches by simply saying a couple of words. Many newer vehicles are equipped with Bluetooth technology that syncs your Apple or Android phone to your vehicle while you drive. It’s estimated that half of all searches will be performed as a voice search by 2020. People are drawn to the ability to make easy, fast and accurate searches without typing a single word. Smart homes are becoming more and more popular and they are controlled by a relatively inexpensive device. With only a few words you can control the music you hear, what streams on your television, control the heat, turn off the lights, ask for directions, order socks on Amazon, and easily perform dozens of other common household tasks. You can also ask Google any question you that randomly enters your brain. Search Engine Optimization (SEO) and content marketing are core to most online marketing strategies. For years, we’ve been building campaigns with the understanding that people are using a keyboard or phone to make searches in Google. People can be lazy when they type a search in Google, the search engine does a great job at understanding the search term you’ve entered, even if it’s not accurate. For example, ‘Pizza shop Toronto’ will not always produce the same results as ‘I want to order pizza in Toronto’. Voice searches take a lot less effort than typed searches. People talking to their Smart Speakers are more likely to provide complete information and full phrases. This could be a game changer for companies who embrace voice search in their online marketing strategy. Traditionally, SEO is the practice of optimizing a webpage for keywords that Internet users utilize when searching Google for a specific product or service. For a pizza place to rank in Toronto, the page should include references to both ‘pizza’, ‘Toronto’ and any other relevant keywords throughout the page. Ideally, the page’s headings, META tags, anchor links and other elements would include the keywords your customers may use on Google. Voice search could potentially change the way we write online content and perform SEO. People are getting used to using their Smart Speakers and onboard vehicle technology to perform Google searches. Practise makes perfect, and it doesn’t take long to realize that these devices work best when more detail is included in the voice search. Again, it takes a lot less effort to talk than it does to type. The ease of voice search makes impulse searches a lot more common. It’s estimated that the average person will have 50,000 – 70,000 thoughts in their head during a day, that’s 35 to 48 thoughts at any given minute. Smart speakers make Google searches effortlessly if you want pizza you can ask for instant information. To beat your competition on voice-activated searches, you’ll want to add more detail to your content. A more conversational tone in your content is the best way to capture voice-activated search traffic. Spend the time and use this logic on all pages of your website. Be sure to include localized information throughout your site, a Smart Speaker or vehicle will seek the closest brick and mortar location that’s related to a search. A voice search will usually be a sentence or a phrase. Study your Google Analytics and come up with a list of common searches using multiple words and integrate these terms into your content. Think about how you would answer a question posed to a Smart Home device with the information on your website. The times are changing and it’s time to prepare your brand for increased voice searches. Over half of all teenagers regularly perform voice searches on Google, and over 40 percent of adults do the same. SEO isn’t going anywhere, but voice search is quickly changing how information is found online. This means your content is going to need to take this growing segment into account.